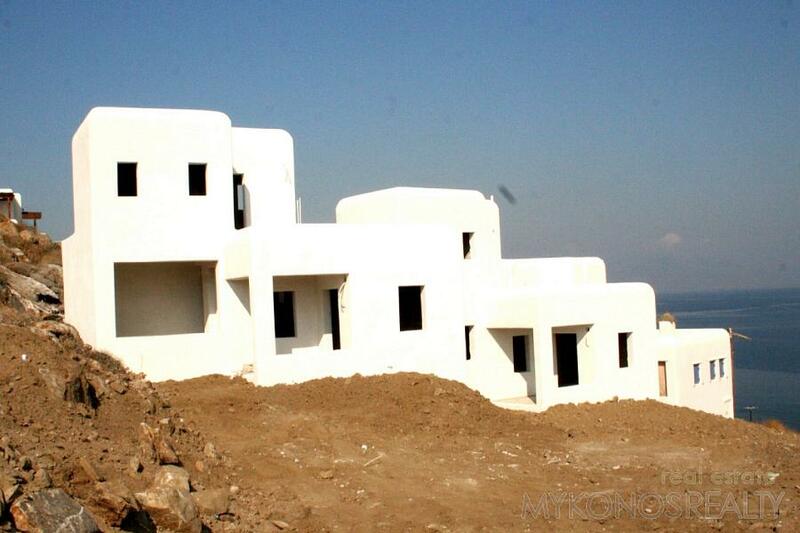 Kanalia, newly built maisonette 180sq.m built in three levels. 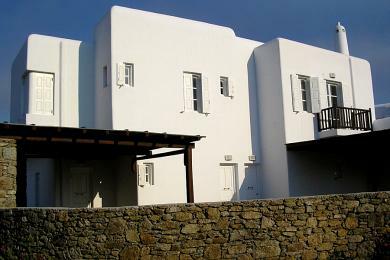 The ground floor level has three bedrooms and three bathrooms, two of which are master bedrooms with their own bathroom and bathtub. 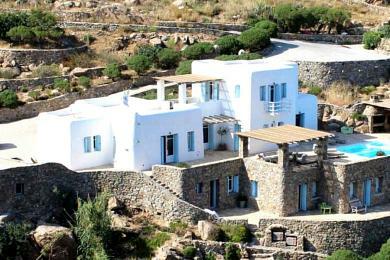 The upper level has a big sitting and living area with fire place and adjoining dining area, WC and kitchen. 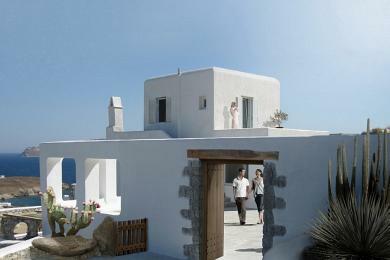 The terrace level consists of a guest house with a bedroom with sitting area and a spacious bathroom. 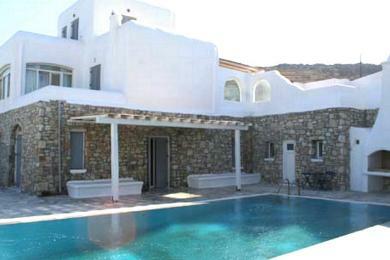 Swimming pool, water tank. 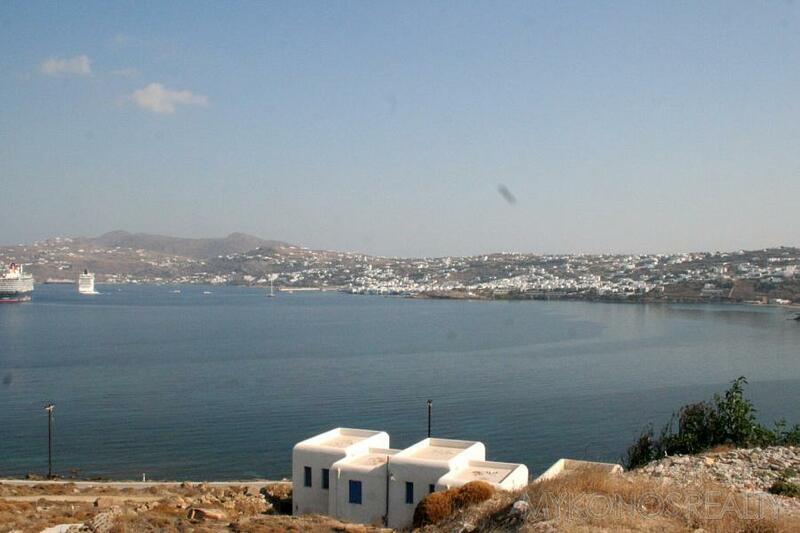 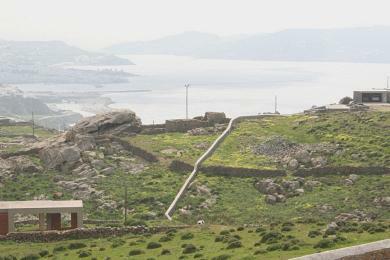 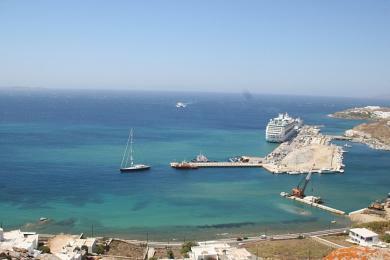 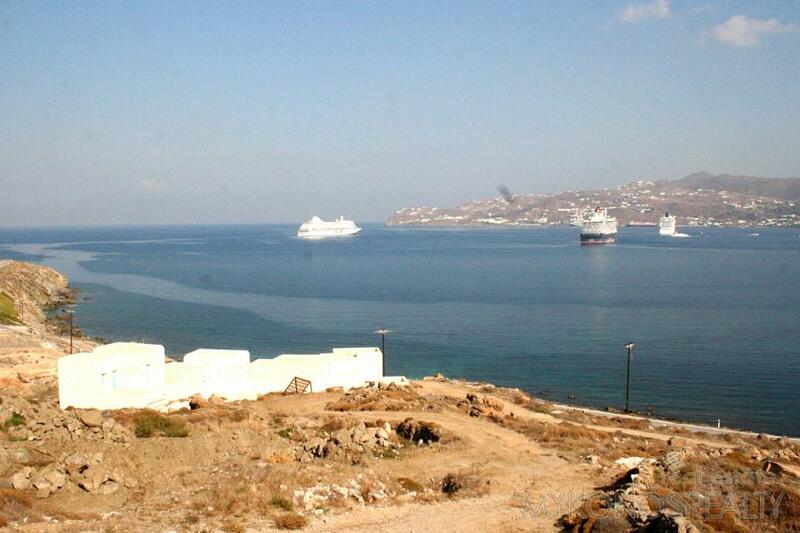 Fantastic panoramic view to the Aegean Sea, Mykonos Town and the two Ports.